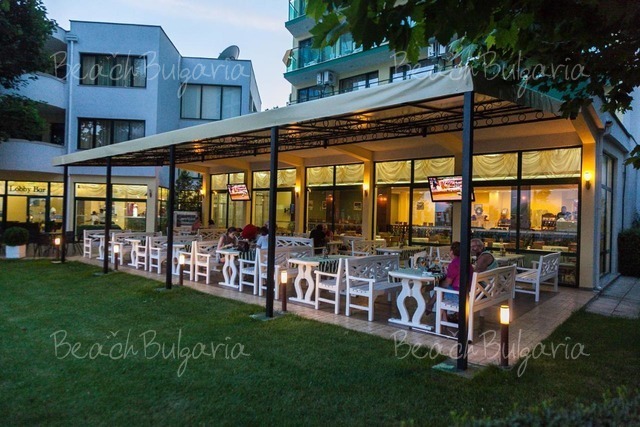 Slavyanski hotel is situated next to the main promenade of Sunny Beach resort. The hotel features 11 single rooms, 300 double rooms and 17 suites balcony, shower, WC, TV, fridge, telephone. Superior rooms are located in a newly built adjacent wing and offer park view and air - conditioning. 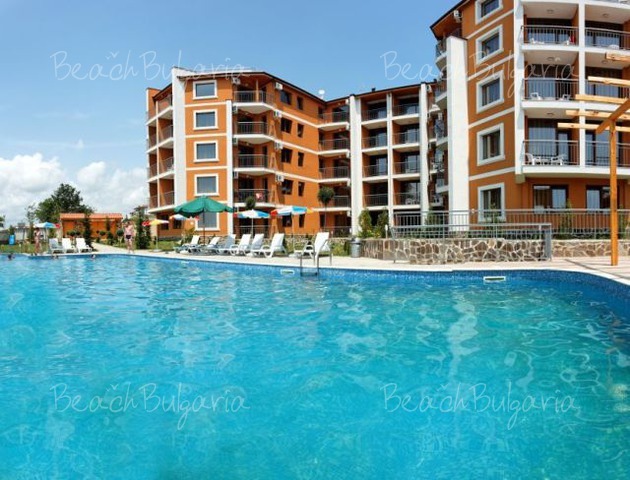 The property offers Lobby bar, restaurant with garden, children’s swimming pool, outdoor swimming pool with pool bar, Billiards, Shop, Safety deposit boxes at reception, Resident doctor, Tennis courts nearby, Exchange desk. * The rates are in EUR, per room/apartment, per night with breakfast included. 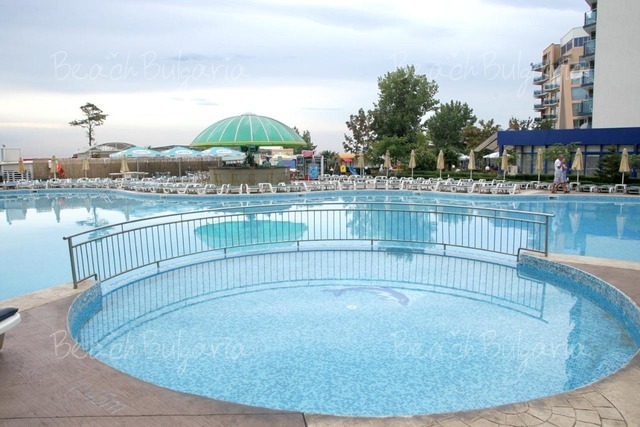 Swimming pool, parasole near the pool are included in the price. * Maximum capacity: Double room - 3 adults or 2 adults + 1 child; Studio: 5 adlults; Apartment - 3 adults. * Cancellations can be made free of charge providing details of this are received at least 7 days prior to check-in time on the day of arrival and 10 days during 06 July - 23 August - cancellations made after this period will incur a fee equivalent to the cost of two night's accommodation. Please, post a comment on Slavyanski hotel. 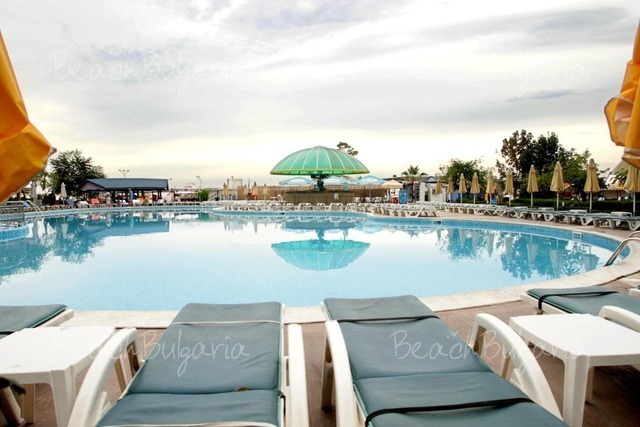 Early booking Vineyards Spa Hotel Aheloy - 20 % discount until 31 March 2019 & 10 % discount until 30 May 2019!